Can we change the environmental conditions in museums and galleries? This question cut to the point for 75 cultural colleagues from across Victoria and NSW who attended a freeMuseum Victoria, Arts Victoria and Sustainability Victoria seminar on the 18th of May to discover the challenges and current international position. Julian Bickersteth, Director of International Conservation Services in Sydney, laid the groundwork for current recommendations for object storage and display conditions. An expert panel comprised of leaders from the building and environmental sectors also joined Julian. They were Professor Kate Auty (Commissioner for Environmental Sustainability), Bernard Da Cruz (Director WSP Lincolne Scott) and Pippa Connolly (Principle at Arup). The seminar was convened amongst concern about the reality of climate change, and rising energy and product costs. Such costs are driving museums, galleries (and much of contemporary business) to reduce their carbon footprint. Unsurprisingly the maintenance of specific temperature, relative humidity (RH) and light levels is in doubt. The temp and RH international guidelines represent the major energy and money consumption in the museum, library and gallery organisations. Facing the prospect of an uncertain future, a number of international groups are driving research into the possibilities for the relaxation of the parameters museums and galleries are required to fall within. The UK to date has been taking the lead with the NMDC (National Museum Director Conference) setting up EGOR (Environment Guidelines: Opportunities and Risks). Heading up the Australian taskforce is the AICCM (Australian Institute for the Conservation of Cultural Material). Each of these groups is involved in investigating possibilities and risks in order to promote change which will benefit the environment and organisational budgets. EGOR is investigating the implications with researchers from the disciplines of arts and humanities, conservation, science and engineering, as well as practitioner communities. One question that keeps arising is the one of acceptable loss? Is it realistic to expect objects receive optimum temperature and RH attention considering the enormous cost energy use extracts from the environment and society? Or should we develop a different understanding around the protection of movable cultural heritage? It is conceivable that changing attitudes for reuse, renewable resources and human adaptation to climate change will alter access, presentation and interpretation of cultural heritage in the future. It may also affect how we value cultural heritage. 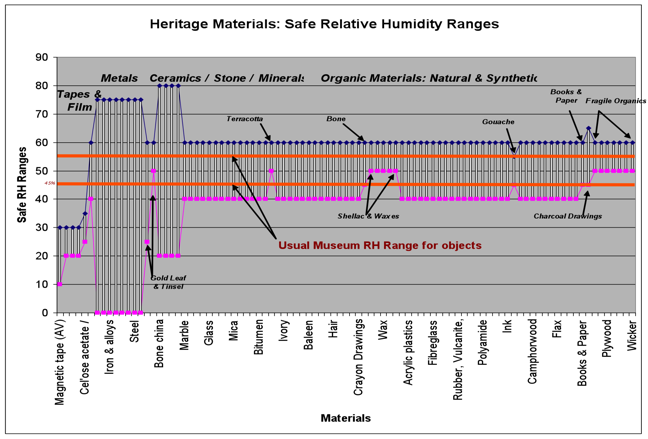 The following graphic from Barbara Reeve (Australian War Memorial) demonstrates safe RH humidity ranges for a range of materials and reveals that the RH range followed by museums and galleries are not required – except in isolated cases. However the conservation needs of movable cultural heritage need to be considered in conjunction with the limitations and potential provided by the buildings they are housed in. Many of these buildings are listed cultural heritage in their own right. Upfront capital costs to adapt buildings to achieve preservation environments are an unhappy reality that prevents many from considering this path, and yet new museums and galleries are still being designed and constructed to heavily rely on electricity. In fact many examples would be unable to support human occupants without electricity, let alone preserve precious and rare artifacts. One example from regional Victoria during the seminar cited how their efforts to bring their heritage building into the 21st century and object preservation guidelines saw their quarterly electricity bill skyrocket to 15% of their total annual budget. So what are the alternatives EGOR and others are exploring? International interest has only recently turned toward new technologies – and more from the need to escape rising energy costs than a sense of moral responsibility toward the environment. New building designs will need to take this into account and seek advice which will allow them to make allowances and infrastructure for emerging technologies that can be retrofitted. Melbourne Museum followed this advice ten years ago when infrastructure was placed on the roof allowing for solar technology to be fitted. Solar technology is now approaching a state where this particular retrofit may be looking like a possibility. The small museum from regional Victoria took action that can act as a guide to us all. The first step was possibly the greatest – that remedial action was not necessarily connected to anything requiring electricity. Recognising the problem was related to sustainability and environment led them to seek advice from Sustainability Victoria. After exploring a number of options the museum expanded environmental control parameters to 18C and 60% RH from current parameters (25c and 55%RH) and achieved a 33% reduction in costs. They are also now trialling running their HVAC in 4 hour bursts. The outcomes from their research and testing will be eagerly followed by everyone who attended the seminar. ASHRAE (American Society of Heating, Refrigerating and Air-Conditioning Engineers) is an organisation that advances the sciences of heating, ventilating, air-conditioning and refrigerating within the limitations of humanity and sustainability. Their 2003 specifications for museums, libraries and archival conditions recommends different ‘classes’ of control. AAAPrecision control, no seasonal changes +/- 5%RH;+/- 2oC RH no change;Up 5oC / Down 5oC No risk of mechanical damage to most artifacts and paintings (so long as conditions are maintained). Up 5oC / Down 10oC Small risk of mechanical damage to high-vulnerability artifacts; no mechanical risk to most artifacts, paintings, photographs, and books (so long as conditions are maintained). some gradients or seasonal changes but not both +/- 10%RH;+/- 2oC RH no change;Up 5oC / Down 10oC Small risk of mechanical damage to high-vulnerability artifacts; no mechanical risk to most artifacts, paintings, photographs, and books (so long as conditions are maintained). Up 10oC, but not above 30 oC; Down as required to maintain RH control Moderate risk of mechanical damage to high-vulnerability artifacts; tiny mechanical risk to most paintings, some artifacts, photographs, and books. No risk to most artifacts and books. There are a number of new standards and guidelines incorporating environmental sustainability on this matter. It is important to note that the PAS 198 was developed rapidly to fulfill an immediate need and is not narrowly prescriptive. Decisions will still involve individual organisations’ preservation aims, use and display, transport, loans and the budget available for energy. There is still uncertainty whether these initiatives will actually save any money or energy. This information will no doubt present itself in time as more organisations are influenced or compelled to rethink where they most need their energy. It will be interesting to note where, geographically, the greatest savings occur, since external climate will be a factor in these results. 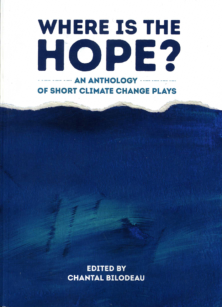 Major international cultural organisations who are active in this debate include the National Gallery of Denmark who has claimed it is on the way to being carbon neutral, and the Smithsonian who are recommending 37-53% RH ‘tight’ parameter, and a 30-62% RH ‘allowable’ parameter. There is a need for a collegiate network to continue this debate and take it further. There are currently no guidelines or standards from an Australasian perspective. The AICCM taskforce is currently gathering information from research, literature and projects with the view to developing guidelines for Australian conditions. The May 18 seminar served to bring those in the Victorian cultural community together to learn and share. It was clear there is a great deal of concern surrounding the future, and the ability to keep up with the rising costs of energy. However it was also clear that financial issues were not the only driver of the community, and that a genuine desire to preserve the natural environment was also a high priority. 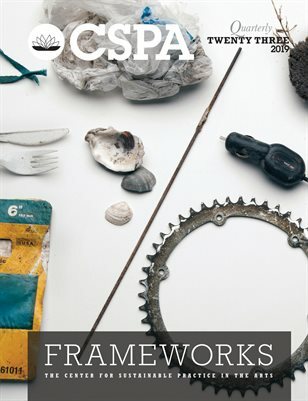 The Strategic Audit into the Victorian Government’s environmental progress (Office of the Commissioner for Environmental Sustainability) and the Greening the Arts Portfolio (Arts Victoria) are two instances of the current prioritization of the environment. Examples from attendees (State Library of Victoria, Gippsland Maritime Museum, Museum Victoria et.al.) provided information that individual organisations were involved in research and trials on this subject, but the information was largely limited internally since there is no localised forum for them to collaborate with or feed into. With this in mind the Sustainability Victoria Arts Roundtable will look to recommending and supporting a working party. 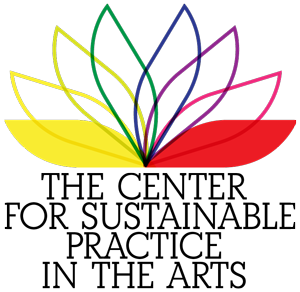 Part of the working party’s mandate will be to disseminate information and case studies, and also to work with organisations to participate and provide advice to cultural organisations wishing to explore new environmental conditions, technologies and methodologies. Seminar attendees will be kept informed of further developments. the EcoMuseum, is a project of Carole Hammond, Exhibition Manager and museum professional: combining the complex ideologies of aesthetics, culture, objects, entertainment…and environment.